Leon F. Stankowski, Jr., PhD, is currently Senior Scientific Director for Genetic and In Vitro Toxicology at Charles River Laboratories in Skokie, IL. He obtained BS degrees in premedicine and biophysics from The Pennsylvania State University, and received his PhD in biomedical sciences (genetics) from the University of Tennessee – Oak Ridge Graduate School of Biomedical Science. Leon has previously worked at multiple other contract research organizations, and also spent three years managing the genetic toxicology group at Johnson & Johnson PRD. Leon has authored or coauthored dozens of peer-reviewed and invited papers/presentations, and over 100 posters/talks. 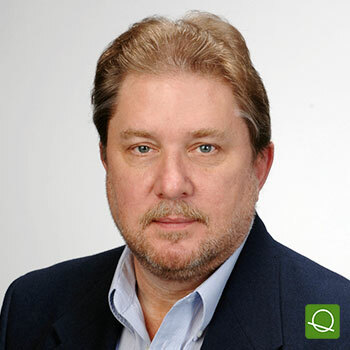 He served/serves on numerous industrial and regulatory workgroups including ASTM, ILSI-HESI GTTC, IWGT and US EPA, and was/is a member of most of the expert workgroups that revised and/or drafted OECD genotoxicity test guidelines. Leon has been a member of the Genetic Toxicology Association (GTA) and the Environmental Mutagenesis and Genomics Society for more years than he cares to admit. He has been an editorial board member for Environmental and Molecular Mutagenesis, and a reviewer for that and multiple other journals. In GTA, he has served as director, assistant treasurer, meeting coordinator, session and workshop chair, and is presently its treasurer. CASE STUDY: Use of the Bacterial Reverse Mutation (Ames) Test to Evaluate Impurities.